1966 has always held a special place of significance for me. While it defined the tentative beginnings of my own interest in the UFO subject, it was the UFO phenomenon itself that strikingly marked the year. 1966 was a watershed year both in Australia and abroad, but most of all, it was a remarkable touchstone for the argument in support of a UFO reality. The year saw in Australia some remarkable cases that argued powerfully that there was an actual UFO reality – there was something real and tangible in our skies and it was landing amongst us! What played out at Horseshoe Lagoon on the sugar cane farming property of Albert Pennisi on the morning of January 19 1966 was an extraordinarily potent testament to the case for a UFO reality. The term “saucer nest” entered “UFO lore” and left its indelible mark in the history of the UFO mystery. The famous Tully “UFO nest” affair of 1966 is one of the best known accounts of an apparent UFO landing report. 1966 was a major year for UFO activity in Australia. 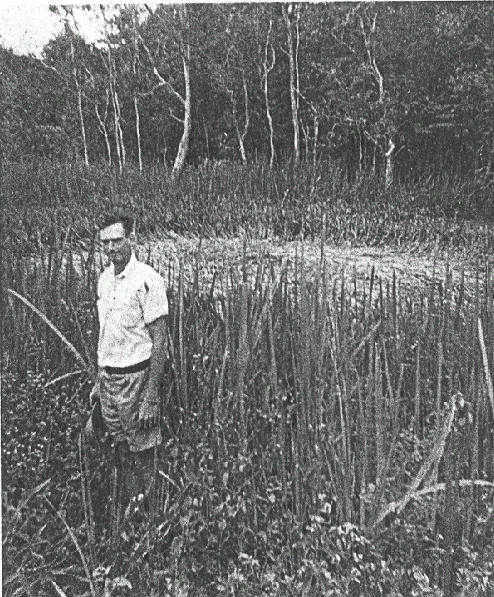 The classic UFO landing at Horseshoe Lagoon near Tully, far north Queensland, and witnessed by 28 year old banana farmer George Pedley, and the activity that followed ensured the locality was the centre of an extended UFO milieu that continued for many years, particularly in 1969, 1972 and 1975. The area was also the site of controversial experiments in UFO detection through remote sensing and filming. The Tully incident has been mentioned extensively in the UFO literature over the years, and yet surprisingly many inaccuracies and misconceptions have developed. These problems became more critical when the famous incident once again became the focus of attention, this time due to the English “crop circle” controversy. The prominent schools of thought on the crop circle formations adopted the 1966 Tully incident as a classic example of their perceived explanations for the circle complexes. Their claims about the relevance of the Tully incident as the progenitor or a classic example of the currently perceived crop circle phenomenon were flawed and generally unfounded. 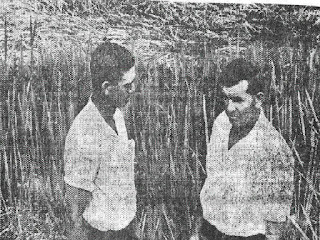 Doug and Dave, the notorious “circle” hoaxers, also cited the Tully incident as the inspiration of their crop circle creation escapades. Instead of being an example of a wind vortex effect, “spaceship” landing site, the result of occult paranormal forces, “plasma vortex” evidence or hoaxed “saucer nest”, the Pedley “nest” is a remarkable example of a UFO physical trace case. The choice of “UFO” is deliberate in that an unidentified phenomenon was apparently involved. A definitive explanation currently eludes us. Like all remarkable events it is important to understand the context that the January 19 1966 occurred in. It is a fascinating story that touches on the wider and far stranger nature of UFO reality. The central focus of the Tully “UFO nest” story is Horseshoe Lagoon on Albert Pennisi’s property near Euramo about 8 kilometres south of the Tully township. The lagoon and Albert’s property are on the strip of flat coastal plan. Tully itself is nestled between Mount Tyson (674 metres) to the immediate north west and Mount Mackay (724 metres) a little further to the east. “Our mothers and grandmothers used to tell us not to go too far from camp in case the Devil Man came calling. Devil men, we Aboriginals call them, or chic ah bunnahs. White people call them UFOs, and if you get caught by one, our grandmothers told us, you will die. “One night I was with my friends and we wandered too far from our camp to the river. We were playing in the dunes when this great big ball of light, so bright, you have never seen such a light, came flying down from the sky above us. It lit up the whole river, and then it zoomed down low along the banks, like it was looking for us. Another early UFO report came from near Euramo, the closest village to Horseshoe Lagoon. In September, 1959, Max Menzel was driving a tractor when he spotted “a brilliant, large, conical craft, approximately 30 feet long”, which seemed to be hovering over the top of sugar cane, just 100 feet away. A nearby house was illuminated in a vivid red and orange light. There was a proliferation of sightings through 1965, including an apparent nighttime landing on the slopes of Mount Mackay on November 29th. Activity surged for months in the wake of Pedley’s experience. The Tully district seemed to be haunted by UFOs. One of the most prolific sources of UFO stories from the Tully area was local witness Claire Noble. She had reported on the extensive activity that preceded the famous Pedley sighting of January 1966. 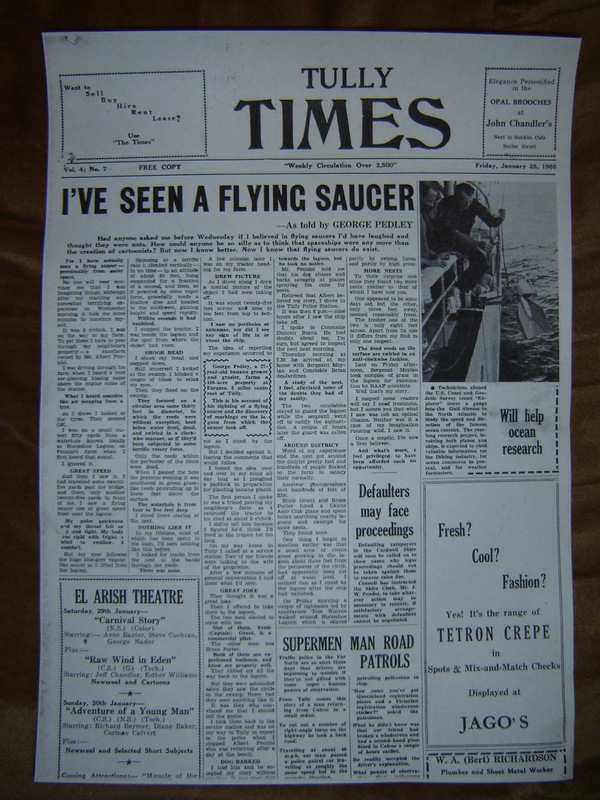 The response to Claire Noble’s reports of UFOs up until January 1966 drew mixed responses from locals. 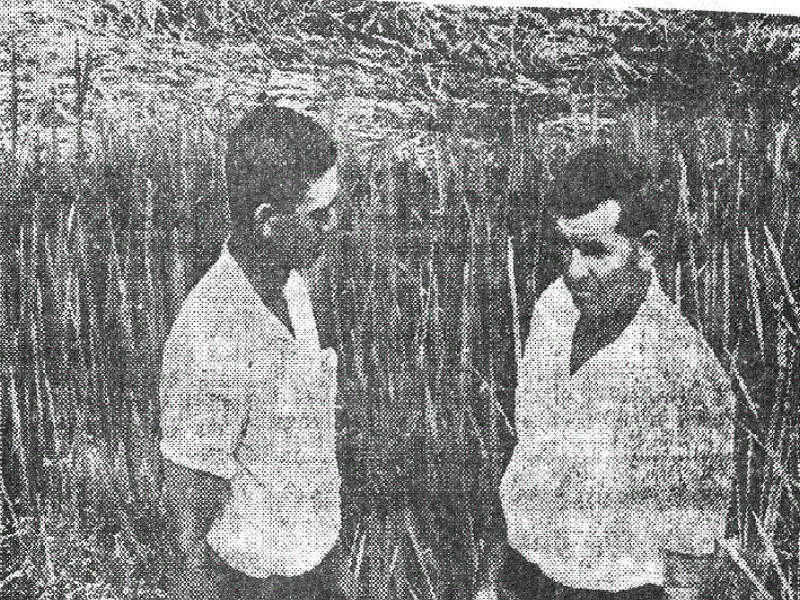 Albert Pennisi had been farming in the area since 1947 and knew something of the local stories and was inclined to believe the observations that Claire Noble and others were making in the months leading up to January 19, 1966. Amazingly Albert and his wife saw something very unusual on the property just before purchasing it back in 1947. They saw large revolving beams of light that appeared to shine up from the sky some distance away. Climbing up onto a shed to get a better view Albert saw what to him looked like “a battleship” traveling across the sky. So when people such as Claire Noble starting seeing strange things in the area Albert kept an open mind. as the 'object' rose. The apparent shape was described as 'two saucers, face to face', but no structural detail was observed. The duration of the observation was approximately 15 seconds and it disappeared in mid air whilst receding into the distance (not assessed). 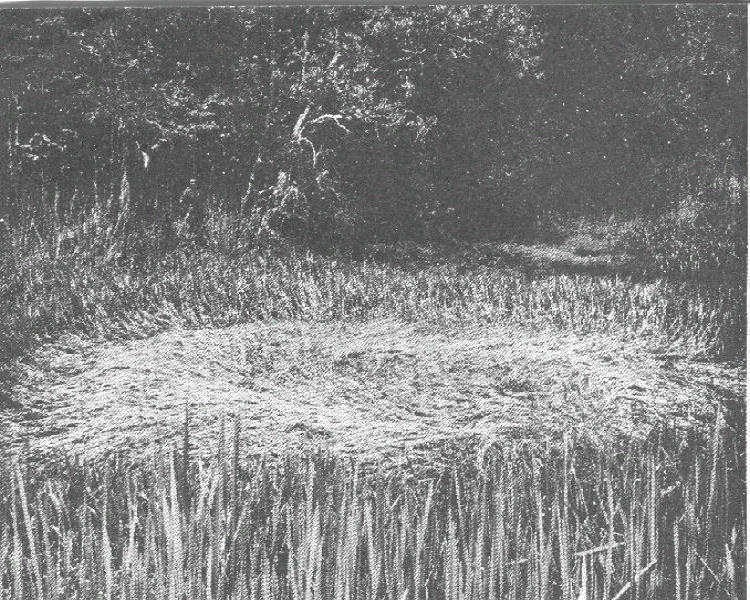 "A clearly defined near circular depression remained in evidence in swamp grass at the point from which the object was seen rising, and measured about 32 feet long by 25 feet wide. The grass was flattened in clockwise curves to water level within the circle and the reeds had been uprooted from the mud. There was no scorching of grass or surrounding trees and the observer stated that there was no smell of combustion..."
My research of the Royal Australian Air Force (RAAF) files uncovered the original police report on the incident. As these are the earliest documented sources extracts of it are included here of details not included in the above statement made in 1973 in response to an enquiry from the "Australian" newspaper. George Pedley reported his experience to Tully Police at 7.30 pm, on January 19th. 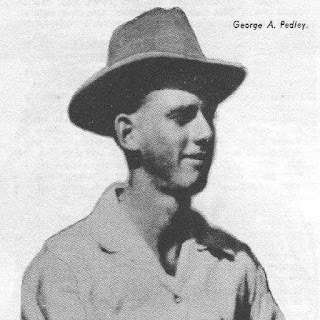 At 7 am, January 20th George Pedley and Sgt. A.V. Moylan went to the site of the incident. Sgt. Moylan, then contacted Townsville RAAF Base by telephone, on the morning of January 20th. Flt. Lt. Wallace advised Sgt. Moylan that he would forward a proforma questionaire for completion by George Pedley. On Friday, January 21st, Flt. Lt. Wallace confirmed despatch of two copies of the sighting proforma by mail that same day and also requested Sgt. Moylan obtain "a sample of the grass from the scorched area." At 3.30 pm, on the same day, Moylan returned to the site and took a sample "of the grass from the depression in the swamp grass at the site. The proforma was filled out by Moylan based on his interviews with George Pedley and was dated 26/1/66. Sgt. Moylan despatched the report and the sample on 26/1/66. Manner of observation: travelling on a tractor about 1/2 mile from farm house of Albert PENNISI, Rockingham Road, Euramo. Attention attracted by hissing noise, clearly heard over noise of tractor-similar to air escaping from tyre; checked tyres and was looking about for source of noise when he saw object about 25 yards ahead. No optical instruments used in sighting. Height or angle of elevation: First seen at treetop height 30'. Rose vertically to about twice that height, then departed, climbing at about 45 degrees. Speed, or angular velocity: Extremely fast; No estimate of speed, but much faster than an aeroplane. It was near treetops and these gave observer a good basis for estimating height. Direction of flight with reference to landmarks or points of the compass: Rose vertically to about 60 feet and departed south west climbing at about 45 degrees; appeared to be rotating for full time observed. (object appeared to remain on) straight climbing path. 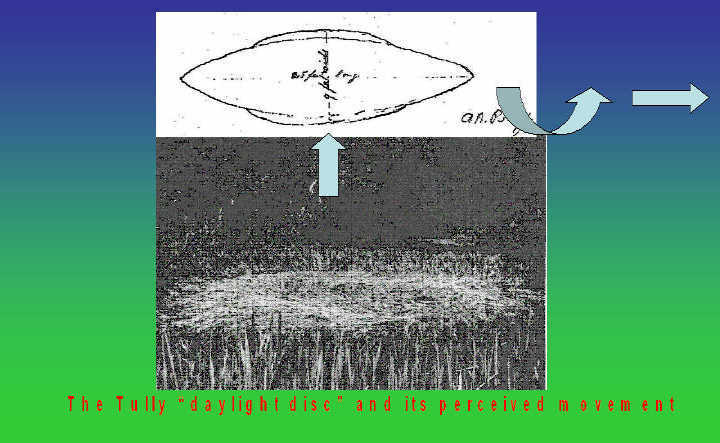 Existence of any physical evidence: Clearly defined near circular depression in swamp grass at point from which object seen rising, about 32' long and 25' wide. Grass flattened to surface of 4' of water lying in xxxx-clockwise curves. Location of any air traffic in the vicinity at the time of sighting: Unknown but checked by RAAF Garbut. Observer reported this matter to Tully Police at 7.30pm on 19/1/66 and at 7am, 20/1/66 went with me to the site of the depression in the swamp. His version then included the information that the object rose vertically, appeared to dip slightly and then went off in straight climbing path. He then said...further that there was no smell of combustion and no scorching of grass or trees visible; that the the flattened grass or rushes was quite green when he first saw the depression; on his return that afternoon the grass had turned brown. In this matter I formed the opinion that the depressed area in the swamp grass had been caused by a small helicopter and that the observer, in the early morning bright sunlight shining on the rotor may have mistaken the shape. His description of the takeofflent some strength to my opinion. However there was cleared land to the east for about 200 yards where such an aircraft could have more safely landed instead of the position indicated by the observer, close to trees. Later I was informed by Wallace Evans of ...Tully, an electrician that he has seen similar markings in a swamp at Kurrumine Beach and is quite certain that it was caused by a whirlwind, sucking up water into a waterspout, uprooting the grass and laying it out in a similar pattern. At 3.30pm, 21/1/66 I took a sample of the grass at the site and have forwarded it under seperate cover on even date. Flt. Lt. T.D. Wright, for Air Officer Commanding, Headquarters Operational Command, RAAF, Penrith, New South Wales (NSW), on-forwarded police Sgt. Moylan's report on George Pedley's UFO sighting and Flt. Lt. Wallace's covering minute paper, to the Department of Air, Russell Offices, Canberra. His communication classified RESTRICTED, which was channelled to the Directorate of Air Force Intelligence (DAFI), also indicated, "This headquarters believes that the depressions of the swamp grass were caused by small isolated waterspouts." "Investigations of the area surrounding the reported "Nests", testing of samples taken from around them and interrogation of persons involved in the report failed to reveal anything of significance. "However, during enquiries a number of local residents stated that the reported "nests" are fairly common during the onset of the "wet". Furthermore, the University of Queensland stated that there was nothing unnatural in the samples submitted and assessed that the "nests" could have been the result of severe turbulance, which normally accompany line squalls and thunderstorms prevalent in NORTH QUEENSLAND at the time of the year. "There is no explanation for the visible phenomena reported but it could have been associated with or the result of "down draughts", "willy willies" or "water spouts" that are known to occur in the area. ".. for information ....in January of this year from an airfield in the tropics (a number of photographs taken give) a fine example of the type and growth of a cloud formation occuring with a severe "down draught". This whirling mass of tropical air associated with thunderstorm activity, on reaching the earth's surface may dissipate and subside or persist giving rise to dust eddies, water spouts, etc, and leaving a telltale circular pattern on the ground. Should it occur over a swampy reed bed the effect would be to flatten the reeds with a circular pattern. resultant photographs and investigations of the "nests" seem to fit in with this theory and is accepted as a possible cause of the phenomena." It is fascinating to note how Secretary McFarlane's cursory explanatory exposition, no doubt inspired by "the tornado-like metereological phenomena" infested skies over Willow Grove, Victoria and Vaucluse Beach, NSW, anticipated by almost 2 decades Dr. Terence Meaden's early theoretical attempts to explain the English "crop circles" of the 1980s. Dr. Meaden would mistakingly assume that George Pedley saw his "vortex" at 9 pm, not 9 am, which is a fatal flaw in the mechanism he put forth to explain the report. I had an indirect hand in Dr. Meaden’s confusion. His source for the 1966 Tully story was my account in Ronald Story’s 1980 UFO encyclopedia. Belatedly I had found that despite referring to the daylight nature of the incident the entry bore the time as 9 p.m! I checked my original submission to Ron Story and confirmed that I had correctly put 9 a.m. Somehow the error emerged and Dr. Meaden was led astray. The only other significant official statement on the Tully sighting I found in the RAAF files was included in a letter by Mr. G.J. Odgers, Director of Public Relations, Department of Defence (Air Office), dated 17th December, 1973, directed to Charles Wright, a journalist working on a article for the national newspaper, "The Australian". 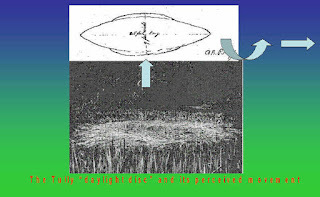 "Although a conclusive determination could not be made, the most probable explanation was that the sighting was of a 'willy willy' or circular wind phenomenon which flattened the reeds and sucked up debris to a height of about 30 feet, thus forming what appeared to be a 'flying saucer', before moving off and dissipating. Hissing noises are known to be associated with 'willy willies' and the theory is also substantiated by the clockwise configuration of the depression. The RAAF’s suggested explanation doesn’t stand up to the facts. In the Tully incident we are dealing with water-laden reeds, a fast moving “object” and an apparent lack of absent reeds from the lagoon. In other words the RAAF’s suggestion of a Willy Willy “vortex” of reeds from the lagoon cannot be sustained. Albert Pennisi recollected that the investigating RAAF officer returned to the site years later and confessed he was “wacked” (puzzled) by the 1966 episode. He had been sent to check Pennisi out and found him to be very honest. He even checked his service records and was ultimately intrigued by what went on. Both Albert and George were astounded by the nest when they first examined it in detail. Neither had ever seen anything like this before, despite being experienced bushmen. Albert Pennisi “knew” his lagoon and a circular effect like this was totally unprecedented in his experience. They waded out to the floating mass and found that it was possible to swim from either side under the mass. The water was clear of any obstructions and the lagoon floor beneath it was smooth and clear of any roots. Albert and George were most struck by a particular feature of the surface of the floating reed bed - what seemed to be a clear “print” or impression of the UFO. The outer perimeter of the floating mass was thrust down markedly as if indented by a massive inverted saucer shape, with a circular centre about 6 to 8 feet in diameter. Albert rushed to his house and returned with a camera taking a series of photos. By then the upper surfaces of the reeds on top of the “nest” had turned brown. The underside of the reeds remained green. This browning had occurred by late afternoon, some 8 hours after the sighting by George Pedley. About 6 feet to the north of the “nest” a rectangular patch of the swamp couch grass, approximately 5 by 6 feet had been clipped at water level and pulled out completely. George Pedley apparently noticed this initially with his original observation of the circular area. A further interesting anomaly was found by Christine Rounland, whose husband helped Pedley with crop fertilising. She came across some ground marking that resembled curious tracks in loose ploughed soil of an adjoining paddock between Pedley’s banana palms. They led from the direction of the lagoon area and extended a short distance into the ploughed field. They were shaped like a tear drop, pointed on one end and rounded at the other. Each were about 3 to 4 inches in length and about 2 inches across at their widest point. They were spaced out at about 12 inch intervals and in a straight line. Subsequent underwater checks indicated 3 large holes in the muddy floor of the lagoon beneath the Pedley nest. 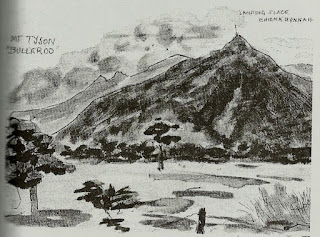 Whether these were there at the time of the sighting could not be absolutely proven, but to some they suggested the possibility of tripod land indentations. George Pedley also reported later that he noticed the presence of a “sulphur” smell in the area around the nest, just after the UFO had departed. While only the “nest” associated with George Pedley’s sighting had an explicit connection with a UFO close encounter, other “nests” were found in quick succession in Horseshoe Lagoon. While intriguing none of the subsequent finds were as compelling as the original “nest”. The area became the focus of ongoing “nest” phenomena and indeed Tully became known as the UFO capital of Australia. Tully had long been known as the locality with one of the highest regular rain falls in Australia. The period of Pedley’s encounter fell within the “wet” season, namely January to February. Usually this takes the form of heavy to drizzling rain. Hence it is easy to see why weather phenomena were deemed a possible explanation. However the facts do not lend themselves to this convenient answer. Strong winds during this “wet season” usually occur when cyclones are present. Pedley’s encounter occurred during calm fine weather. The prevailing weather for the area in the 24 hours preceding the incident was not conducive for the formation of local windstorms. Locals are familiar with wind damage, even those involving small scale vortices. These usually feature rougher and messy grass coverage disturbance and evidence of debri and trails in the immediate locality. None of this was evident. When the news of George Pedley’s encounter and the “nest” started to spread coverage through the media proliferated. It was front page news. All sorts of theories abounded for the “nest”. Helicopters, nesting birds (“Big Bird”? ), crocodiles, dogs, secret military devices, “spaceships”, reed eating grubs, willy willy and whirlwinds were amongst the many ideas trotted out. There was some confusion with regard to the direction of the nest spiral, which persisted in various accounts over the years. The Pedley “nest” had a clockwise swirl. This aspect at least ruled out one explanation. The Brisbane paper, “The Courier Mail”, of January 25th, 1966, stated, “RAAF officials discounted the theory that “nests” have been made by helicopters. The RAAF said that in depressions left by helicopters the grass usually ran in an anti-clockwise direction - the main nest found at Tully ran in a clockwise direction.” Alf Macdonald, the Stock Routes Inspector for Northern Queensland, who had lived in the area since 1933, thought the wind vortex theory was unlikely. He said that the district had not had strong whirlwind, and indicated that they left a path anyway. George Pedley also commented, “I’ve seen wet whirlwinds and dust whirlwinds. If the police believe this, let them. I know what I saw. It wasn’t a whirlwind.” The Victorian Flying Saucer Research Society (now VUFORS) published an excellent item, “The Tully ‘nests’: How freakish can whirlwinds be?” which concluded that “the atmospheric vortex hypothesis” was untenable, despite cyclonic rotation in the southern hemisphere being clockwise. Large scale vortex weather systems such as cyclones and whirlwinds largely have their rotation determined by the Coriolis Effect, but local factors can negate these tendencies, particularly in smaller vortex systems such as “willy willies”. “Nest” activity reoccurred during early 1968 culminating in a strange affair involving a remote “UFO detector” and linked camera at Horseshoe Lagoon being triggered and running off footage. The undeveloped footage was posted off to Kodak. The package was returned with a note from Kodak saying the container contained no film on arrival in Melbourne, despite the original postage being indicative of a film being present. Investigators even used a local member of parliament to try to get to the bottom of the missing film mystery, but all to no avail. “Nest” activity also occurred at Horseshoe Lagoon during subsequent years including 1969, 1972, 1975, 1981 and 1987. By 1990 Albert Pennisi was indicating there had been 22 nests at his lagoon since 1966. However none were as compelling with regard to an explicit UFO connection as George Pedley’s find in 1966. While hoaxing and misinterpretation was suggested in some of the latter finds, such allegations were not applicable to the original nest. At about 10 pm, on November 5th, 1971, in the South Johnstone area, “two locomotive men of the South Johnstone Cooperative Sugar Milling Assoc., Ltd. were in the Number Two Branch area when the traffic control officer tried to contact them by radio. Jumbled and incoherent voices were heard. Believing an accident had occurred, a rescue party was sent out. One of the group observed a dazzling and powerful light in the area where burnt cane scarred by great heat was found. When they reached the driver and fireman they found them stupefied with one man repeatedly pointing to the sky. Both were taken to a hospital.” The source is cited as the “Evening Advocate”. I have spoken to Albert Pennisi and George Pedley on a number of occasions over the years and was always impressed with their accounts. B.C. : From what I have read, you saw what you called a spaceship? You didn't really describe it in much detail. G.P. : Oh, I would never have said I saw a spaceship! B.C. : That's what the papers were quoting you as saying. G.P: Well, that's wrong for a start. I saw an object ... something going up and that's it. Just what it was, I don't know. B.C. : What did you really see? G.P. : Well, I just saw this thing in the sky and it took off! It was about 25 feet when I saw it - 25 to 30 feet in the air when I saw it. B.C. : It was in the air when you saw it? G.P. : Oh yes, I didn't see it in the lagoon as they say. That's wrong. The marks were in the lagoon ... and it just took off from there (in the air). It went up another 25 feet and it just flew straight out. B.C: So you saw it rise up from a position of about 20 feet when you first saw it. B.C. : And the position where you first saw it, was that in the same spot where the nests were found? G.P. : You mean the object? B.C. : Yes, where you saw the object rise up, you say you saw it originally from 20 feet in the air, roughly about 20 feet in the air . . . B.C. : What sort of size would you have put on it? G.P. : Size? Oh, the size was pretty right. I'd say 29-30 feet, something like that. B.C. : Did you get the impression of an object, or was it sort of a solid-looking thing or gaseous . . . G.P. : Well, I thought it was a solid thing, at the time. I didn't see any portholes, or anything like that, antennas or anything like that. They could have been there, I'm not saying they weren't there. B.C. : What sort of shape would you have put on it? B.C. : What sort of color? G.P. : It seemed a silvery gray, a blue gray, like that. G.P. : [With regard to the media assertions that he saw the object rise up out of the lagoon] I think there was a little bit of misunderstanding there. I would say it was their fault Anyway, I'd never say that. Albert would speak about it but kept speculation largely to himself. It happened and the proof was evident in the “nests”. Albert, assisted by his sons Adrian and Shane, publicly lectured about the events for the first and last time in October 2006 at a UFO conference in Brisbane put on by UFO Research Qld and a video of the presentation has been made available by the group. I was there and was pleased to catch up with him again. For me his talk was the highlight of the conference. It also brought back great memories of wading through Horseshoe Lagoon back in the early 1970s. It seemed it might have been young Shane Pennisi who told me to watch out for taipans – something I might have wanted to be alerted to before rather than after! I fondly recollected. While Albert had an open mind about the reports of UFOs leading up to the startling daylight experience that George Pedley had in January 1966, he was himself troubled by haunting UFO related dreams. In order to give Albert’s “dream” a broader canvas I will note that on 29 November 2014 in North Sydney I gave a lecture to the Australian Institute of Parapsychological Research - “UFOs, Alien Abduction & contact: the Parapsychological Connection” – and reprised it for 2 UFO group meetings. In each I varied the content somewhat because this aspect of the UFO controversy has a huge amount of data related to it. It is obviously an aspect of the subject that intrigues a lot of people and many people have shared this type of experience. It has certainly been an aspect that has intrigued me right from the very start of my own UFO research. One of the key points I focused on was the type of events that would qualify as psychic type components. Some are straight forward, but others are rather ambiguous, leaving me to point out that some might be the manifestations of a superior and extraordinary technology, rather than what would qualify as a psychic, parapsychological or paranormal aspect. What has always been striking for me it that often the most remarkable examples of psychic type events can be found in cases that are regarded as classic type examples of physical evidence type cases. The classic daylight UFO landing case near on January 19, 1966, is an excellent example of this dynamic. In Albert’s experience it was the element of precognition or prophetic dream. Albert reluctantly confirmed this strange element to me, but he was not alone with suggestions of paranormal happenings. More than a decade later, according to information I received, at nearby Murray Upper, a similar situation apparently unfolded. A young woman was woken up by her father apparently because he thought the house was on fire. There was a huge orange glow outside. They tried to wake up other family members without success. Fear started to overcome them and they ran down the hallway of the house away from the light. Their next recollection was that they both woke up the next morning extremely puzzled by what seemed to be a bizarre shared dream. Over breakfast they heard radio reports of UFO sightings. They then realised their “memories” were not dreams. A circular area of flatten sugar cane was found near the house. I subsequently spoke with the young woman. While she only confirmed these events in a vague sort of way she did have a history that many would consider to be a classic UFO abductee. I even spoke to her father but he did not confirm the experience and was not keen to elaborate further. Ultimately I was not able to fully confirm the validity of the affair. These stranger elements to UFO experiences do happen but are usually only reluctantly shared. “IT WAS 1966, in Tully, north Queensland. Never done drugs, so was completely straight. Was working on a cane farm and housed in barracks, not in Tully, but nearby. One night, rather than walk to the ablutions block, and dark anyway, decided to water the grass. Two bright stars in the distance caught my gaze. They were larger than others, brighter, and appeared to move. Transfixed, I watched further; as they did appear to grow bigger, changing colours, then, moving, hovering circling, turning variously, orange, yellow, red etc, gracefully floating while keeping their balance. Then one drew closer and I could see it had coloured lights around the perimeter of a distinct saucer shaped body. The other stayed a little at a distance. It appeared that when the disc moved clockwise the ring of lights could go the opposite direction. It was amazing - red, orange, yellow green lights, fluctuating too. Some colours, were bigger lights than others. Beautiful. A time passed, and I found myself standing in front of my door at the barracks. I did not walk there. Where had the time gone? The main craft had come closer to me, that night, a mesmerising, beautiful sight. Next thing, I found I was inside the craft. These beings were all of Caucasian appearance, tall and dressed in blue. They dressed me in blue also, then offered me a couch to sit/lie on. Whatever I wanted. They communicated without words (telepathically?) and were truly very courteous. I noticed the interior had no angles and no seams. It was softly, but well lit. Then, they began to tell me things. Here, are some - remember this is 1966. They said there would be "healing patches" to assist healing, to place on people's skin. They also showed me a healing method where they placed the patient under a white cloth, while above them, is suspended a circle of spectrum lights in similar colours to their disc ship. They explained how the imbalance of illness caused colour gaps, that the lights restored, by filling the colour gaps. It could turn either way, clockwise or anti-clockwise, and move freely across the whole body area. One was the main communicator, others busied themselves variously. Some sat nearby to listen then went about their business. I asked about their energy system, and they said I would find the answer in the face of a sunflower. I spent many years puzzling this. Till, decades later, I walked past a little country bookshop, and was drawn to a book about the Apollo 13 mission in the window. I went in, opened it randomly, and there, was this sunflower! A black and white photo of the face of a sunflower. It was there, to describe a mathematical ratio for spirals by Daniel Bernouli and I recalled that the blue friends also said their energy was derived from air and water. Their demeanour was very warm and friendly, not at all threatening. The following evening, I went out to look again and a silvery cylinder shaped object hovered upright, nearby, as if just following me, but I was tired, and went to bed. It was about seven or eight foot high, never touching the ground, just about a foot or two above it. Completely silent. The next day, I was surprised to find a long meandering path of dried grass, about 18 inches to two foot wide, where the upright hovering object had been. Since then, there have been patches for healing and I did get to look into the face of the sunflower - a scientific example of spirals in nature. Air and water. Albert Pennisi may have thought the prophetic dream aspect diminished the credibility of the Pedley encounter and the other UFO events, but the physical certainty of the “UFO nest” far outweighed such concerns. The Canadian “Close Encounters” series actually created a segment around this “dream” dynamic. I participated it the episode – “A Saucer full of secrets” – along with Shane Ryan. The "recreation" was dramatic and entertaining and hopefully will encourage enquiring minds to dig into the actual data about the case. As I have extensively researched and investigated the Tully incident I had issues with the fidelity of the "dramatic recreation" with the facts. I know I supplied extensive material, which gave detailed illustrated and photographic evidence and data, so some of the "recreation" deviations from the actual facts of the case are puzzling to me. But given the entertainment format I am consoled by the likelihood that the show may encourage further interest. For the uninitiated some of the more obvious "deviations" (i.e. thats not the way it happened) are: George Pedley was driving a tractor, not a jeep; there seems a marked separation of viewing the UFO and the "saucer nest" - in this case an "under-dramatisation" of the facts. 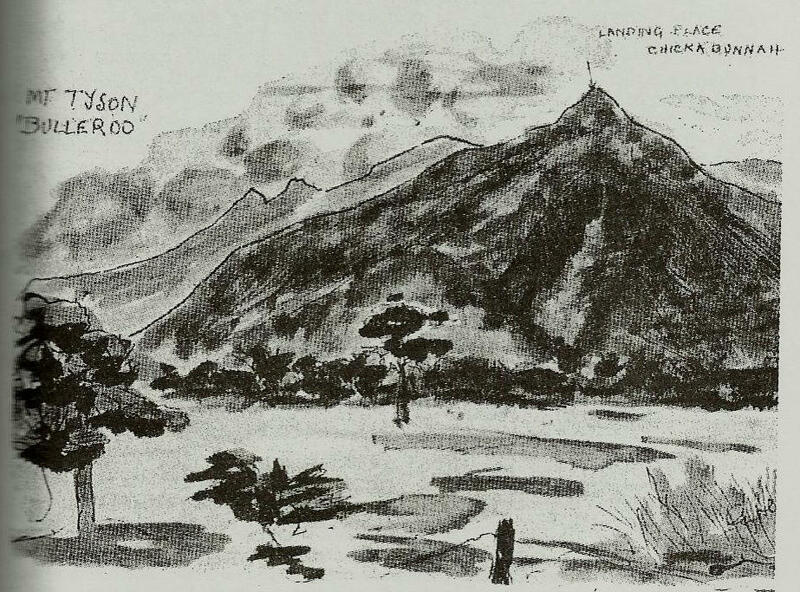 George first saw the UFO directly above the lagoon at a very low level, virtually at head height, rising up. In other words there was a direct visual correlation with the location of the nest and the UFO - a definite "close encounter" - In the "recreation" there is a disconnection; The "nest"! Well in the "recreation" it is virtually a floating, slowly spinning birds nest in appearance, which is far from its original appearance. Both George and Albert entered the water of the lagoon, not just George. I did to, years later, but got out pretty quickly when one of Albert Pennisi's sons, (Shane Pennisi told me he thought it was probably him in the early 1970s) told me about the taipan snakes. Probably more accurate to say I launched myself out of the lagoon, but didn't make it as high as George's UFO back in 1966. The dynamic between George and Albert on the show wasn't too bad from my perspective. Albert’s “dream” figures in one writer’s claim that George Pedley had hoaxed Albert. John Van Tiggelen suggested this in his intoxicating and entertaining gonzo ride through northern Queensland - the 2003 book “Mango Country – a journey beyond the brochures of Tropical Queensland” – and couldn’t face confessing this to Albert. This suggestion was apparently based on his conversation with Albert, who Van Tiggelen quoted as saying, “George thought (Claire Noble) was crazy. But a few nights later I had a dream about a visiting spaceship. I told George about it. I said to him, ‘What would I do if something landed on my property?’ Well I didn’t have to wait long. One day I was doing some work at the beach house. When I came back George was sitting on the porch waiting for me. He said, ‘Don’t laugh. A flying saucer landed in your lagoon.’ ” This conservation seems to be a bit of mangled chronology on Albert’s part as this sequence is contradicted by the contemporary accounts and interviews undertaken with Albert and George, including my own, long before Van Tiggelen engaged with Albert. John Van Tiggelen concluded his descent into Tully’s flying saucer fever (perhaps mediated by his time caught up in Clair Noble’s “Ashtar web” – Claire had gone on to claim a contactee relationship with Asthar) with the following caveat, for those buying into his take, “I begin to understand George Pedley’s thirty-eight-year silence. Play a trick on someone like dear old Albert Pennisi, and you are going to have to live with it for the rest of your life. Of course, I could be wrong. Pedley may not have made it up.” I find Van Tiggelen’s scenario is not sustainable. Albert passed away on 25th January 2009 three days short of his 90th birthday. Albert was a simple man who, despite a rough start, forged a good life and family, who tried to help people, and was the real quiet achiever. Shane Pennisi told me that Albert refused to change Horseshoe Lagoon and he was going to keep it that way. Albert was in touch with nature and tried to keep the property that way. Shane shared his father’s take on the land and lamented that given the changes to area through drainage and other farming practices, as well as more housing appearing, the locality that held so much sway in 1966 is not as isolated and quiet as it was back then. Progress and development intervened but at least the lagoon still stands as a testament to Albert’s way and to that remarkable moment back in 1966, and the suggestions via more nests over the following decades that the UFOs might have landed many times since. Albert’s “dream” and George Pedley’s daylight encounter with the UFO rising out of the lagoon are marvellous manifestations of the strange UFO reality that haunts us, and has seemingly haunted the Tully area for a very long time indeed. It got very real in a physical way back in 1966 and since then. Thank you Albert, for sharing the experience of the “dream” and its real impact, the UFO physical trace legacy, which haunted the Tully region for so long. According to Shane, his father seemed to always sing while working the farm, but maybe it was the alien siren songs of the UFO that left its marks – the “saucer nests” – that were part of the song lines of his life. The torch has been passed and should the unlikely happen and Albert’s “dream” machine returns, further “nests” are found and more UFOs are seen, there will again be those who will bear witness and there will be those who will try to actively seek answers. Such is the legacy of the Tully UFO milieu. The 1966 Tully UFO physical trace case still stands as a classic example of the impressive physical dimensions of the UFO phenomenon. Stan Seers, “UFOs - The Case for Scientific Myopia,” Vantage Press, 1983, Ch. 4, The Tully Saucer 'Nests'. Bill Chalker, “Tully (Australia) 'Saucer Nests',” 370-371, in Ron Story, “The Encyclopedia of UFOs,” NEL, 1980. 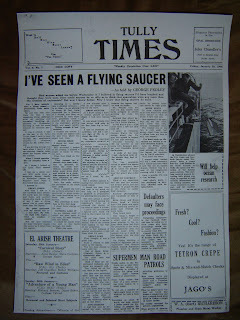 See also my articles “The Tully Saucer Nest: A classic UFO physical trace case” Australasian Ufologist, Vol. 4, No. 4, 4th quarter, 2000, pgs. 4 – 13 which includes an extensive list of references, and “Albert’s “Dream Machine” – UFO reality at Tully – a UFO History Keys Special tribute to Albert Pennisi (1919 – 2009)” Ufologist, Vol. 13, No. 1, May-June 2009, pgs. 3 -6. UFO Research (Qld) produced a report on the incident and have released videos of Albert Pennisi’s 2006 lecture and Lee Paqui’s informative June 2016 lecture “Tully 1966 revisited”. I helped Mike Williams set up interviews with Albert & Clare. By then Clare was well and truly into Ashtar contactee stuff, as reflected in Tigglelin's Mango Country "gonzo" style reporting, where he also creates a scenario that George hoaxed Albert - evidence: nil. I also suggested to Keith as Stan Seers was related to John Auchettl by family maybe he may want to try PRA's "open" policy. There is also Ron Gaist ABC Checkerboard Tully enquiries, which brought up a few matters such as the Chic-ah-bunnah lore and the alleged photo anomaly connection. Gladys Henry's book "Girroo Gurrll: the first surveyor"
Of course there is the whole matter of Stan Seer's monitoring of the lagoon. A lot of this is tangential to the 1966 case, but remains important context and supplementary material. Albert's final talk and Lee Paqui's 2016 lecture are both excellent sources of primary source material. Young clips clip picks up 5,000 coughs. Goldclub Slot Play online casino games. Betting Center To meet the needs of many gamblers. Relaxation is something that everyone. They are more interested in betting and more often. We are glad to bring you the game on mobile. Variety of choices Within the site Including the news as follows: Russia's life website published clips that set the scene of the 19-year-old Russian football player Stavros Manahev. Position of the team behind the team. Pick up a banknote valued at 5,000 rubles (2,761 US dollars) from a friend who gave it to the nose and crushed it down unfortunately.